One-way to Mars: would you go? 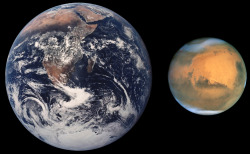 From Earth to Mars: Would you be willing to take a one-way trip to Mars from Earth? Learn from the people under consideration for this mission on why they want to make the trip.Courtesy RHorningWould you be willing to take a one-way trip to Mars? More than 200,000 people said "yes" to a venture by Mars One, a private space exploration team that says it wants to take a team to Mars and keep them living there the rest of their natural lives. The target mission date is 2024. The winnowing process to get to the final 24 candidates is right now whittling down the remaining 600 applicants to a finalist field of 24. The Washington Post, today, interviews a number of US candidates who are being considered for the mission. 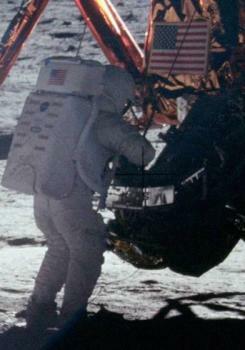 What did Neil Armstrong sneak off of the moon? 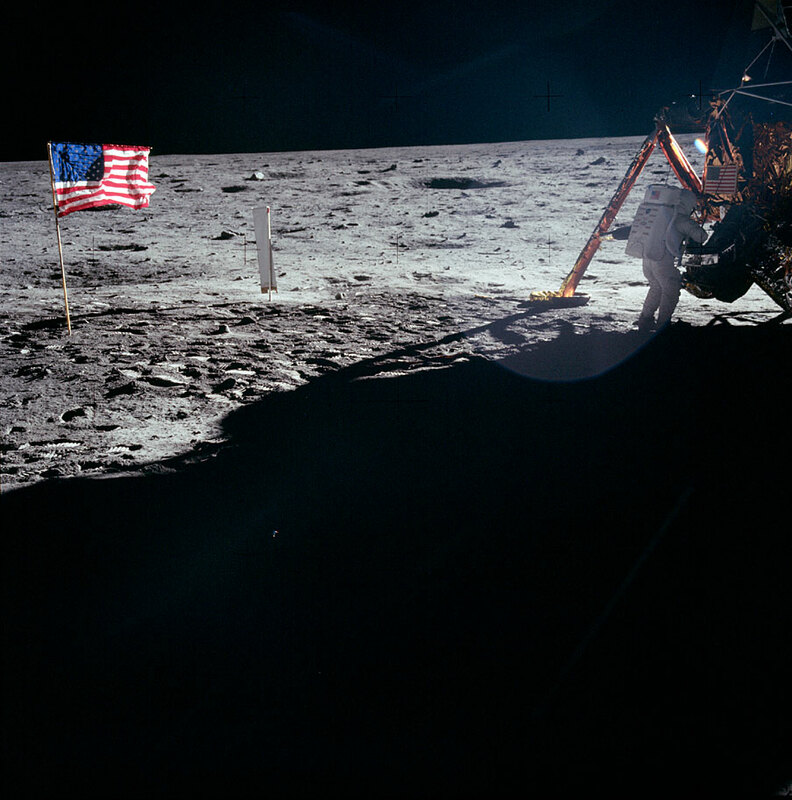 Moon walk: That's one small step for a man, one long step in sneaking office supplies.Courtesy NASAForty-five years after he left the surface of the moon, we're finally learning what special souvenirs Neil Armstrong brought back from his trail-blazing journey. This might be the most extreme case of sneaking home office supplies. 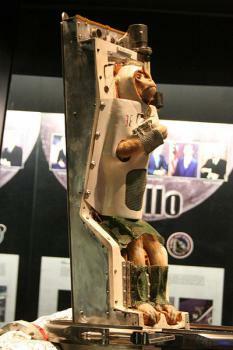 You'll soon be able to see some of these items on display at the Smithsonian's Air and Space Museum in Washington, D.C. Follow the link above to learn more about how these items were discovered and how their authenticity was verified. 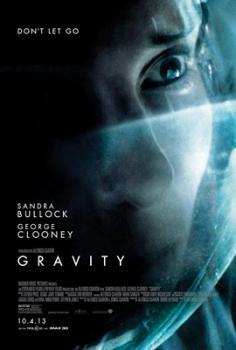 Gravity: Do they get the science right in the new action film Gravity?Courtesy WikipediaFilm goers will have the chance to travel through space this weekend with the blockbuster movie "Gravity" hitting the theaters. Its a ficticious story about two American astronauts dealing with disaster during a space shuttle mission. I've come to expect Hollywood to place loose and easy with actual science when it comes to movies with scientific themes. And then today I stumbled upon this article in Time by Jeffrey Kluger, the co-author, with astronaut Jim Lovell, of Lost Moon: The Perilous Voyage of Apollo 13, which was the basis of the Apollo 13 movie released in 1995. He applies his extensive space knowledge to fact check what's depicted in the new George Clooney/Sandra Bullock film. Here's his analytical summary: "So, that’s a lot that Gravity gets wrong. But you know what? So what? The shuttle, space station and spacesuits are painstakingly recreated; the physics of moving about in space—thrusts requiring counterthrusts, spins requiring counterspins, the hideous reality that if you do go spiraling off into the void your rotation never, never stops—are all simulated beautifully, scarily and accurately." Click on the link above to get detailed analysis of what's scientifically right and wrong with Gravity. Have you seen the film? What do you think about its accuracy in portraying the science of living and traveling in space? 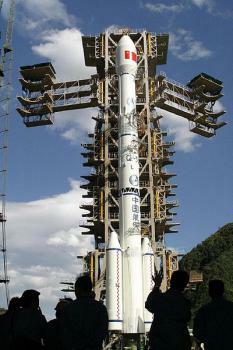 A Chinese carrier rocket: Apparently in the process of transforming into or from a giant robot.Courtesy AAxanderrOf course, by “the skies,” I mean “space.” And by “eyes,” I mean “money.” “China” means “China,” though. China’s space program is run by the country’s military, which freaks some folks out, but China claims that the venture is purely scientific, and, being one of the big boy countries, it’s eager to make its own contributions to space exploration. Also, and this is a rough translation from the original Chinese, it has all this money, and the cool kids all have (or had) sweet space programs, so …. Despite the impressive goals and Chinas recent rapid progress in space exploration, spokespeople acknowledge that China has a lot of work yet to do to get to the level of Russia’s and the USA’s space programs, seeing as how those institutions have a 50-year head start. So if you’re feeling defensive or jealous, you can keep that in mind. But are you feeling defensive or jealous? Or are you just excited that more people will be going to space, and more science will be happening up there? The mission to Mars will be wood-paneled. Remember the Russian Mars-flight simulation? Six volunteers in Russia were sealed up in a space ship sized structure in June, and would remain there for 520 days—the length of a trip to Mars and back. It sounds like a stinky, claustrophobic situation, but it looks... kinda fun. Popular Science has a photo gallery of the "astronauts" ("cosmonauts"?) in their natural habitat. They have the Rock Band video game, and a lot of time on their hands. Sounds a little like life here on Earth. Stephen Hawking: Leave the planet or die, humans! 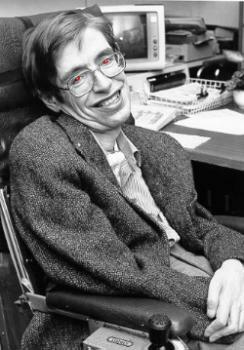 This is your final warning, humans: I am the Hawking! My word is universal law!Courtesy NASAWell, to be honest, that really isn't what Stephen Hawking, international super brain man, said. But he did say that if mankind doesn't spread out from Earth into space somehow, we will go extinct. Oh, Stephen. You must be a blast at parties. He's right, I suppose, if in a sightly long-term, sci-fi sense. He points out that "our population and our use of the finite resources of planet Earth are growing exponentially, along with our technical ability to change the environment for good or ill"—ideas central to the concept of the anthropocene, the current, human-dominated era of our planet (and the subject of the Science Museum's upcoming Future Earth exhibit). It's possible that we might screw up the Earth beyond repair (something that has been within our ability since the dawn of the nuclear age, and is more so than ever now), and we'll be stuck here on a doomed planet. Unless we figure out how to survive in space, or make our way to other planets, he thinks. As the Hawk-man puts it, "The human race shouldn't have all its eggs in one basket, or on one planet." Enjoy your time on the planet while you can, folks, because the human race is like a 25-year-old whose parents are just about to start charging rent for the basement. 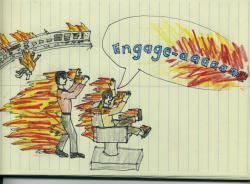 Space travel kills you: Well, probably not you, but it would kill these two BFFs.Courtesy JGordonHeyo, Buzzketeers. Any Starketeer Treketeers out there? Yes? Well check this bit of fun science out: a Professor at Johns Hopkins says that traveling at near-light speeds in a space ship (as folks often do in science fiction) would have the delightful effect of almost instantly killing everyone on board. Aw, whoops. Did I say "fun"? I meant the opposite of fun. See, it'd obviously be no good to run into a big chunk of rock while flying around super fast in outer space, but (fortunately) big chunks of rock are really pretty rare way out in space. That's not the problem. The problem is the tiny stuff. The really, really tiny stuff. Here on Earth, each cubic centimeter of air has about 30 billion billion atoms in it. (That's right—two "billions.") In outer space, however, each cubic centimeter of space might have 2 atoms in it. Two lonely, harmless little hydrogen atoms, drifting around, looking for friends. That low-density of matter is no problem for a low-speed ship—it'd just zoom right through them—but for a ship approaching the speed of light, they could be a huge problem, according to this professor. So, because so many of the hydrogen atoms are hitting the ship, and because the ship is going so fast, it would be like turning a giant particle accelerator on the ship (except, in this case, the ship is being accelerated into the particles, not the other way around, but the effect is the same). It would be like getting hit with approximately the same amount of energy as if you stepped into the beam of the Large Hadron Collider. Even with a 4-inch-thick aluminum hull, 99% of the hydrogen would blast through the ship as radiation, frying the electronics and killing the crew in seconds. Sad. You can't wrestle a particle beam, Kirk. Still, maybe there are some Trekkies and physicists out there who can make us all feel a little better about this? The Johns Hopkins professor clearly knows a ton about radiation, but maybe he's not such an expert on space, or about the physics of Star Trek. I'm certainly not. Don't they warp space on that show? So that they aren't traveling though billions of miles of space (and all that dangerous hydrogen), but are skipping from one spot to another? Something like that? Help me out here. The image of Spock dying of radiation poisoning (again) makes me cry salty tears. The monkeys are probably less enthused about space travel: But who can say what monkeys really want?Courtesy RadioFanInvest in the Abkhazian monkey industry! Because the derelict research monkey houses of this booming breakaway region of a breakaway region are about to take off! Literally! No, not literally. Probably not at all. But that’s not stopping those monkey farmers from dreaming. This is just an utterly bizarre article. I don’t think I can make it any funnier. It’s about an all but abandoned primate research facility in Abkhazia, a breakaway region of the former Soviet republic of Georgia. Back in its heyday, when the communists were really into monkey-related science, the facility was producing “groundbreaking medical research,” and breeding monkeys to send into space. Then, as some of you may have heard about, the USSR went belly up, and things went down hill fast at The Institute of Experimental Pathology and Therapy. And then Abkhazia tried to break away from Georgia, and things went further downhill, possibly underground. During the ensuing civil war, “many monkeys were shot.” Others were just let out of their cages to just run around the city. From a prewar population of about 1,000, the facility houses only about 350 apes and monkeys now, not including “at least a few dozen monkeys… believed to be living in the wooded mountains of Abkhazia, descendants of a 1970s experiment where scientists released apes* into the wild.” Ok.
What? That’s the speed bump in the monkey+robot Mars flight plan? They have a point, I guess. Because monkeys are so used to human servants that a robotic butler in space might be a big conceptual jump for them. Anyway, best of luck to you, Abkhazian monkey farmers. 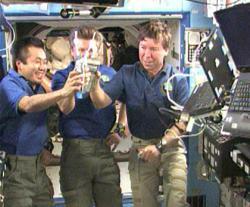 Drinking our waste to our health: Astronauts aboard the International Space Station toasted their first sips of water converted from urine they've expelled during their time in the station.Courtesy NASAAs we approach the start of the summer cool beverage season, here's an exotic drink you might want to try. Yesterday astronauts on the International Space Station raised their glasses in a special toast to the newest accessory on board their space craft. This device converts their urine, sweat and spit into drinkable water. And you thought the hardest part of being an astronaut was going to be feeling the G-forces for blast-off and re-entry. Converting body fluid wastes into water is an essential efficiency for long distance space missions to locations like Mars and beyond. And even with at the space station, the device reduces the amount of water that needs to be transported from Earth by 65 percent. Six seems to be the operative number with this new contraption. A crew of six on the space station creates enough urine to convert into six gallons of water in six hours. Currently, ISS crews are limited to three people because of limited water supply. Now the station will be able to handle up to six crew members at a time. The new device directs water from the station's toilet to a special tank where the fluid is boiled, separating the water contents from the urine brine. As a kid, I had a great time building and firing off those popular Estes model rockets. The acme of my modeling experience was getting a Saturn V, two-stage rocket that looked just like the ones used for the Apollo moon shots. It was so proud of the mini-missile that stood about two feet tall. On Saturday in Maryland, the mother of all model rockets was launched, another Saturn V model, but this one stood 36 fee tall, weighed nearly a ton and soared eight-tenths of a mile into the sky. Cost of the mission: about $30,000. Click on the video below to see its launch. Obviously, they had no trouble keeping the electrodes connected to the rocket engine wires; and the rocket also did not get tangled in powerlines upon descent – the two banes of my young rocket launching career.